Quality modular homes Built to your standards. Receive an email with floor plans and cost details. 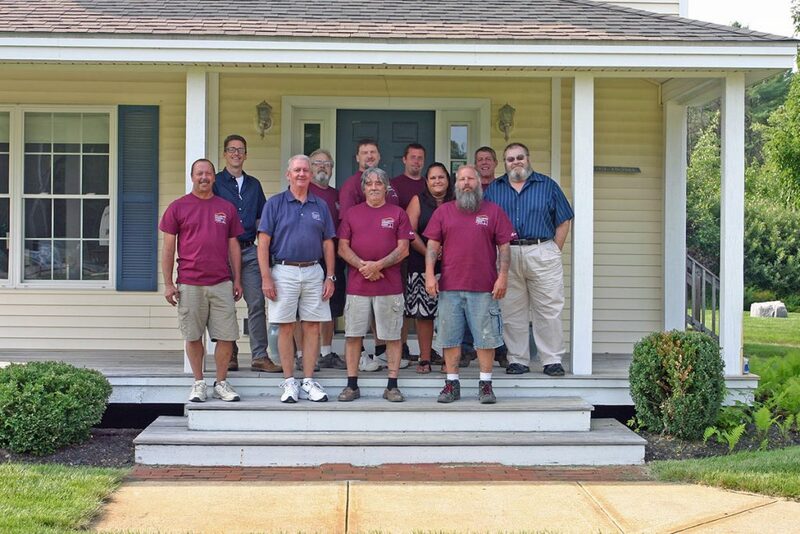 For more than two decades, Hallmark Homes has been a leader in Maine’s modular home-building industry. We work with clients to plan the details of their new home, including modular home floor plans, material specifications, and site evaluation, then we manage the entire construction process, from concept to completion. We have built countless custom modular homes for our customers, and we look forward to bringing your new home to life. The benefits of modular home-building far exceed quality and value. With Hallmark’s turnkey financing, it’s the same financing used to purchase a pre-existing home. From planning to completion, learn what goes in to building a new home. Hallmark Homes is a family-owned and -operated modular home-building company with well-established roots in Mid-coast Maine. We live and work alongside the customers for whom we have built homes, and we take pride in meeting and exceeding their expectations. Throughout the years, we have had the privilege of earning various industry awards and serving as members of professional building associations. We view these achievements as milestones in our long history of quality modular home construction and superior customer service. After all, we’re building homes, not just houses. 9am - 5pm Monday - Saturday.